Sometimes, you might need to get screen shots from your computer. So, in windows you can press PrintSreen Button to get a full screen image of the computer. Nevertheless, using this option we have to face many problems for example while taking screen shots of a scrolling window, you can only get the image of current screen of the computer. Although, when you want get image of only a active window, we can not use this PrintScreen feature. 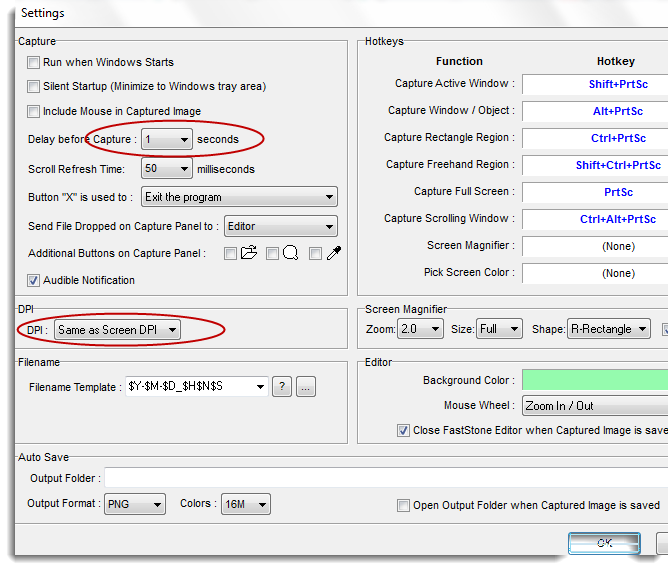 As alternative for this print screen feature recently i have found an application called FastStone Capture. It is a free software for non-commercial use. After getting screen shot, it can be edited using FastStone Editor which will automatically open when taking a screen shot. Get the FastStone Capture from below links. 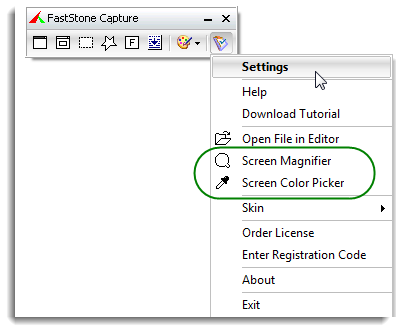 Using FastStone Capture, we can get screen shots of Active window, Window/object, Full screen and Scrolling window.See the figure below and use these buttons to get screen shots. Also, you can add watermarks for images and Zoom a region using Screen Magnifier. Click on the button in right hand corner (Go to Settings) and then select Settings . It will open a Settings window. Here, it can be change the Delay time before capture as shown in the figure below. The DPI of the image can also be changed easily by selecting DPI as custom and changing the values (96, 120, 150, 200, 250, 300, 350, 400, 500, 600) next to that. When you click on the button in right hand corner (Go to Settings), you will see Screen Magnifier and Screen color picker. This Screen Magnifier can be used to zoom a selected region. So, click on Screen Magnifier then click on the region that you need to Zoom in. By clicking Screen color picker, you can identify the color of the specific locations, it provides color as a RGB (red green blue )value and with Decimal and Hexadecimal values. This color identification process can be used to identify any color even if yout eyes are not sensitive.